Eternity Liss Acai Eternity Liss Acai Brazilian Keratin Hair Treatment The Eternity Liss Acai Brazilian Keratin Hair Treatment is a blend of organic acids and conditioning agents (jojoba oil, wheat germ proteins, acai berry extracts, keratin, panthenol and white clay) able to reduce the volume of any type of curly and frizzy hair (in particular coloured/bleached or damaged hair) in an efficient and long-lasting manner. This specific combination of organic substances acts on the natural protein frame in the hair fibre, modifying its volume. 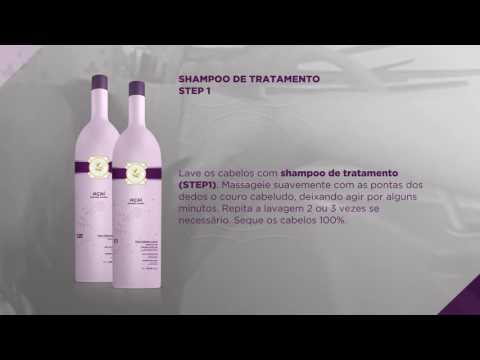 The treatment also strengthens the keratin present in the hair, repairing even the most damaged fibers, providing strength and softness to the hair from the roots to the tips. The final look is silky, soft and shiny with a volume reduction ranging between 70% and 90%. Ingredients: Aqua, Cetearyl Alcohol, Behentrimonium Methosulfate, Palmitamido-hexadecanedium Chloride, Piper Nigrum Extract, Argania Spinosa Oil, Triticum Vulgare Germ Oil, Propylene Glycol, Creatine, Keratin, Panthenol, Amodimeticone, Octoxynol-40, Isoluareth-6, Protein, Palmitamidohexadecanedioll, Distaryldimonium Chloride, Cetearyl Alcohol, Formaldehyde, Oleracea Fruit Extract.